Given the important role that business media play in corporate life, scarce attention has been paid to the role of media in the construction and popularization of corporate social responsibility (CSR). In this article, we understand media as a key infomediary and examine how the business press has framed and presented CSR over the last 10 years. Based on a content analysis of how CSR is presented in two English-language business newspapers with an international readership, we develop a framework for understanding the role of business media setting the corporate CSR agenda. 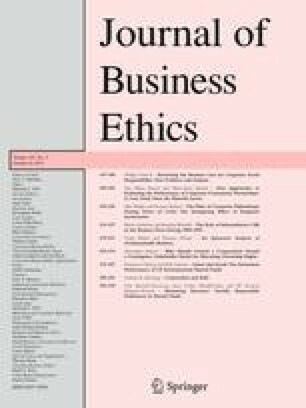 The results show that business media contribute to the construction of what CSR means in corporate practice by creating links between CSR and certain corporate activities, between CSR and arguments that strengthen the view of CSR as a business case, and between CSR and certain spokespersons. These links contribute to create a notion of what CSR stands for, what it means in practice, and why it is important that one should pay attention to. NRS 2010, ‘Latest Top Line Readership’, [03.09.2010], http://www.nrs.co.uk/toplinereadership.html.